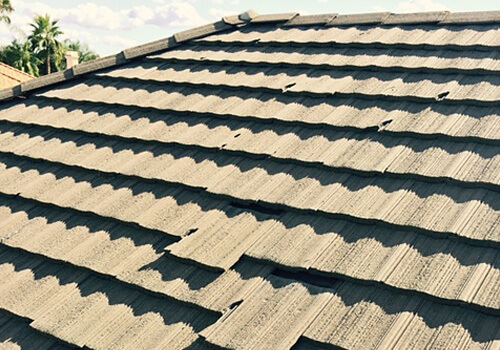 Jarco Roofing & Solar Construction is Canyon Lake and Menifee's best value for high-quality roof repair services. In business since 1987, our locally owned company has worked on thousands of roofs throughout Southern California. We've done everything from small repair jobs to full-scale new roof construction, and are skilled at identifying and fixing all types of roofing problems, such as leaks, dry rot, termite damage, crumbling mortar, missing tiles, underlayment in need of replacement, and more. We've performed repair work on both residential and commercial structures and are experts in all types of roofs, including flat roofs, single seam metal roofs, tile roofs, shingle roofs, wood shake roofs, and slate roofs. Whatever the job, Jarco Roofing & Solar is always committed to providing excellent service at a reasonable price. Jarco Roofing & Solar is renowned throughout the Inland Empire for our honesty, professionalism, and highly skilled and knowledgeable team of roof installers, supervisors, and estimators. Our installers average 10-20 years of on-the-job experience; our supervisors have between 15 and 20 years of experience; and our estimators have upwards of 30 years. The quality of craftsmanship we are able to produce on a consistent basis is directly related to our staff's extensive expertise in all aspects of roofing. As such, you can trust that we will be able to accurately identify the cause of your problems, provide you with the best, most cost-effective options to correct them, and achieve long-lasting, attractive, and reliable results. We offer complimentary inspections and estimates for roof repair work in Canyon Lake and Menifee. Call our business today to schedule an appointment. We'll send out one of our estimators (usually within a day or two) to inspect your roof. For roof repair estimates, we do ask that the client be present while the expert is there, since he'll likely need to go inside your home or business to properly gauge the extent damage and/or source of the leak. While there, he'll assess your roof's integrity, check the underlayment, determine the roof's projected life expectancy, answer any questions you may have, and discuss your goals, budget, and options. Jarco Roofing & Solar Construction is licensed, bonded, and insured. Our service area includes Canyon Lake, Menifee, Corona, Lake Elsinore, Temecula and surrounding cities. We accept cash, check, and credit card (MasterCard, Visa, and Discover) and we offer special discounts for senior citizens. We're open Monday-Friday, from 7am to 4pm.